If you're reading about the best backpacking sleep system, you've probably graduated from day hiking to overnight or longer hiking trips. But now you've got some hiking problems to solve. how to keep yourself warm through the night, regardless of the type of shelter, and the level of moisture, which surround you. 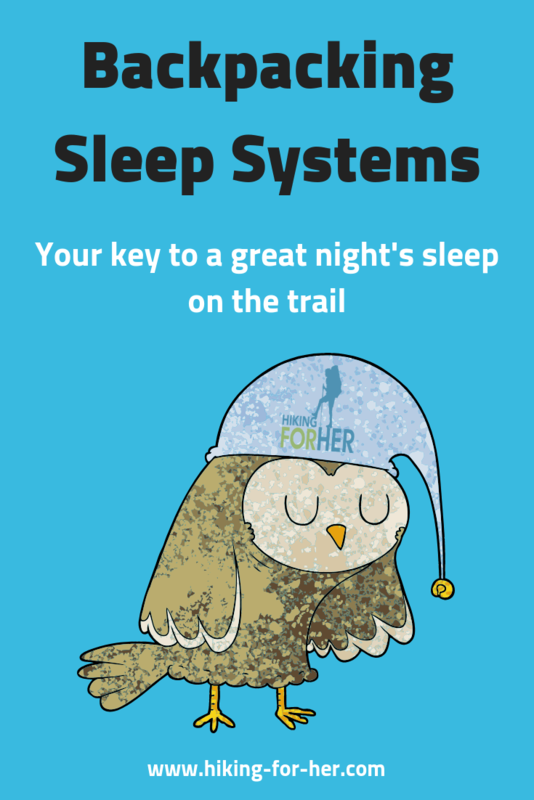 to learn what you need to know about choosing the best backpacking sleep system for your hiking style. Your sleep system in your bedroom is your bed + bedding. silk or cotton or flannel sheets, soft or hard pillow, down or cotton comforter. Same idea goes for your backpacking trip, except you're hauling around your sleep system on your back (you did realize this, no?). But hang in here with me, and we'll get you on the trail to the perfect backpacking sleep system by the end of this page. You have my permission to run away from anyone who tells you that there is one right answer to the "what is the best backpacking sleep system?" question. You've got to find what works best for you! I don't waste my precious time or money on gear that doesn't work. And I'm willing to bet cold, hard cash that you value your sleep every bit as much as I do. That's why I'm going to put the best of the best outdoor sleep system components in front of you for your consideration. Some of the links are affiliate links, meaning it costs you nothing extra to purchase from these fine outdoor companies while sending a small commission to Hiking For Her. Ready to generate some Zzzzzz's? Hey, wait! Not quite yet! These will be covered in a separate article, coming soon, so check back. Some hikers consider warm clothing, a hat, a pillow, and a stuffed bear (not the live kind!!) as vital components of their sleep system. And they wouldn't be wrong! Let's take a peek at each of these. If you camped or had sleepovers as a kid, you're familiar with the idea of crawling between two layers of fabric, zipping up the bag, and scrunching yourself up within it as your body heat warms up the inside. And you probably used a squeaky, slippery plastic blow up camping mattress beneath your body at least once before, for comfort and insulation. Now, as a backpacker, you need a lot more than that. Women are notoriously cold sleepers. Except for that wonderful period of time when you get to "pause" and wallow in your own heat, albeit for intermittent chunks of time that you can never predict. 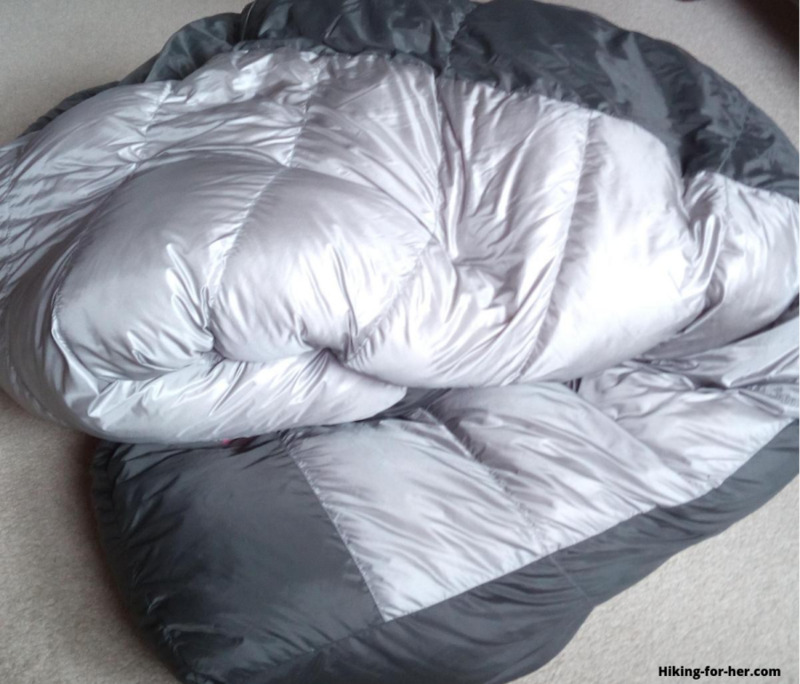 If you're an exceptionally cold sleeper, you want a sleeping bag with extra padding in the hip and feet area. You'll also appreciate a sleeping bag or quilt that cinches down snugly around your neck, preventing cold drafty episodes that wake you up. You can also learn to use clothing as a deliberate part of your core warmth strategy - keep reading for tips. Just for the record, when I need to go fast and light, I use a Big Agnes Q-Core Insulated SLX sleeping pad. I love its small lightweight footprint and cushiony warm sleep experience. I also use a more cumbersome but comfy self inflating Thermarest: a women's Prolite Plus. Including your choices of clothing and head covering, plus a pillow, seems entirely reasonable to achieve a good night's sleep. Optional teddy bear, no judgment, I promise! Want warm feet while you sleep? The fastest way to a warm body is pulling on a hat. A female hiker should have a repertoire of hiking hats, and sleeping is no different than the trail: as conditions change, so should your hat. A wool cap lined with fleece for spring and fall. This Arc'teryx Bird Head toque is a good balance between warmth and comfort. Your options for this complete coverage of head and neck are fleece and merino wool, just as with your hat! This one is soft and cozy, and can be adjusted to be loose around your neck, or pulled up like a hood to fully cover ears and head. During the day, use it to cushion and protect electronics inside your backpack. Or you can go streamlined, like this Smartwool clava. Not as versatile, but not as heavy, either. You pull it on in one smooth motion, and it's fitted but not claustrophobic. Moisture wicking, breathable and soft! I've found that dedicating a lightweight but warm pair of long underwear to my sleep system serves me well. Pair them with their matching bottoms, and never shiver again. Because I only wear this clothing for sleeping, it has lasted for many, many seasons. Treat yours kindly by line drying them. Some backpackers belong to the "I'll just cobble something together from clothing" school of thought. Others take no chances with their sleep comfort, and bring a pillow like this NEMO Fillo Backpacking Pillow. Now it's time to start making a shopping list. As your body ages, your hiking style changes, so you might will discover that you need to modify or change your sleep system components. But you've gotta start somewhere, right? Or risk sleep deprivation from being cold and uncomfortable during the night, which robs you of full enjoyment of your backpacking trip. You've got your backpacking sleep system dialed in. Now turn your attention to how to haul it around a.k.a. choosing your backpack. And there's one more system: your shelter. Enjoy the journey to a well stocked gear locker!